RadTreeView component exposes conditional styling feature. It allows users to apply a different Style to each item depending on a specific condition. The following example will demonstrate how to apply different styles on parent items and leaf items. This is how the RadTreeView control will look like when conditional styling is used. 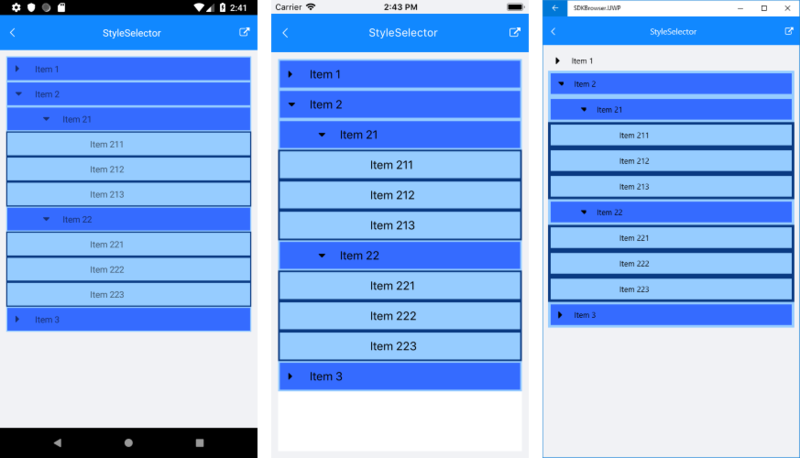 SDK Browser application contains an example that shows StyleSelector feature in RadTreeView cotrol. You can find the application in the Examples folder of your local Telerik UI for Xamarin installation.